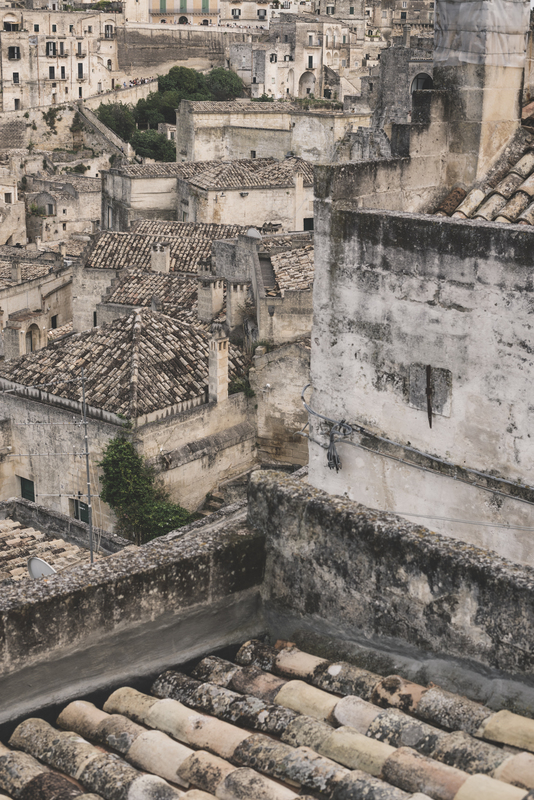 For a girl used to Roman city life, Matera might seem a dreamy place. Quite, still, soothing. People are calm and relaxed and the historical area is astonishing and photogenic. 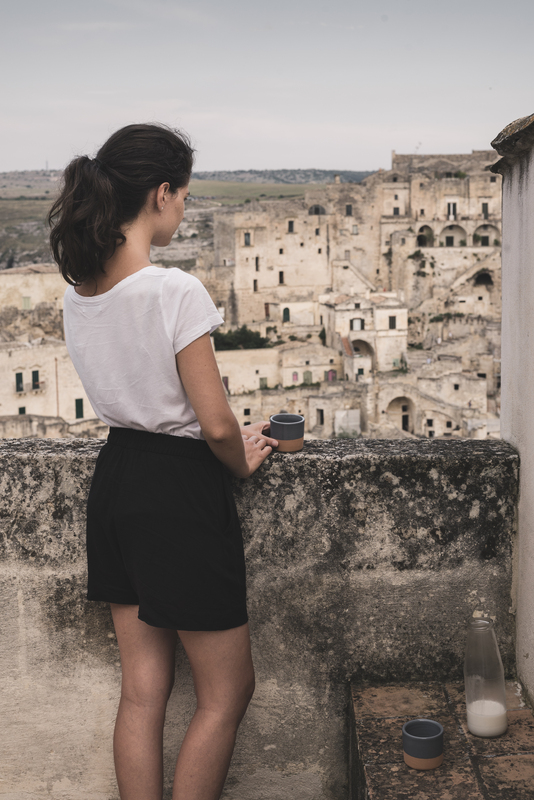 Tea and I decided to spend 2 nights in Matera while coming back home from Apulia. When we arrived, it was rainy and cold. The place we were staying in was a tall squared building, one room on each floor. We shut ourselves in the house and heat the water to prepare a warm tea. 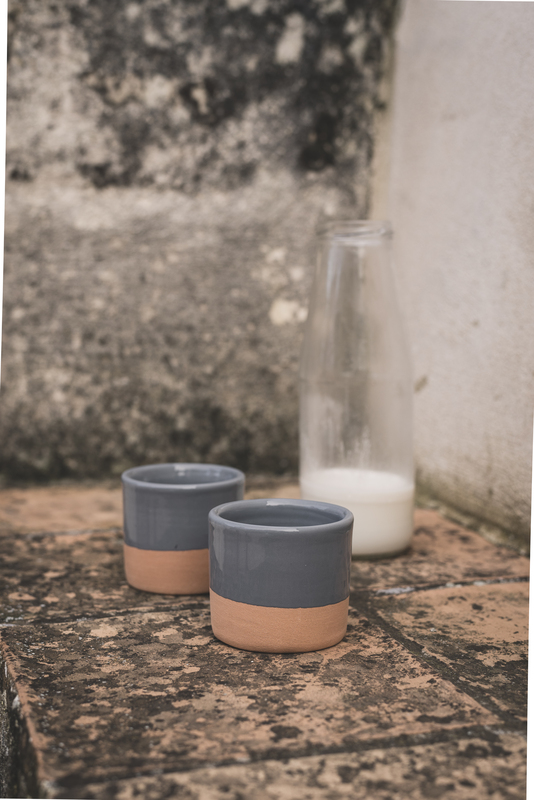 With a cup in our hands, we got to top floor where a little door revealed a stunning view over the old cave and the rooftops. It was the moment I thought: “ok, this is a fairytale and I am a short-haired Rapunzel locked into a high tower”. Haha! The fact is: from the terrace I could see the whole town, catching every single detail. 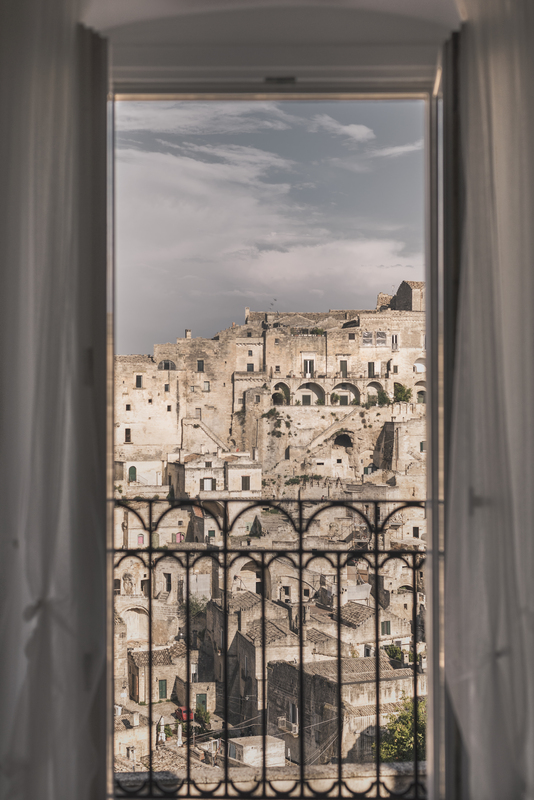 That view summed up what Matera really is. 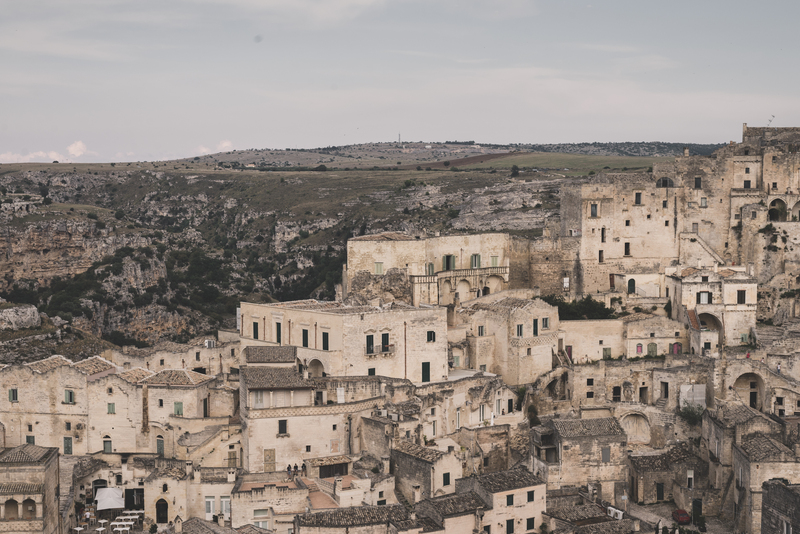 A built up area, called Sassi, made of habitations dug into the typical calcareous rocks. 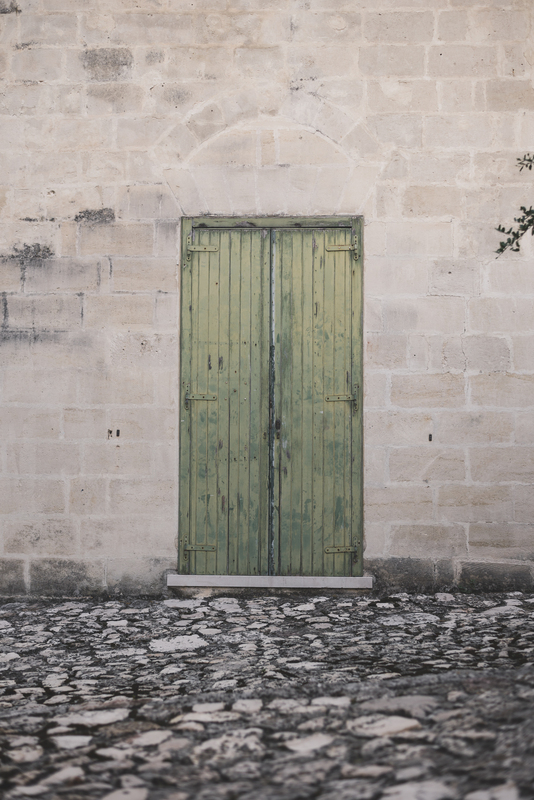 High white stone walls stood up between alleyways and countless stairs. I could have spent hours on the terrace watching the daily show: thousand of people walking up and down, left to right, all day long. Turists strolled around the ancient district and captured its timeless beauty under the warm summer light. 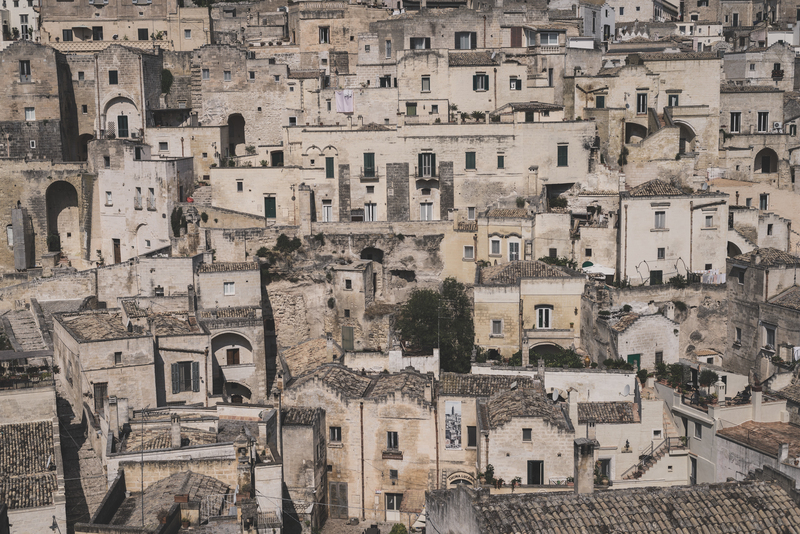 The houses, built with local materials, were so small and close to each other that they created a stone-carved pattern. 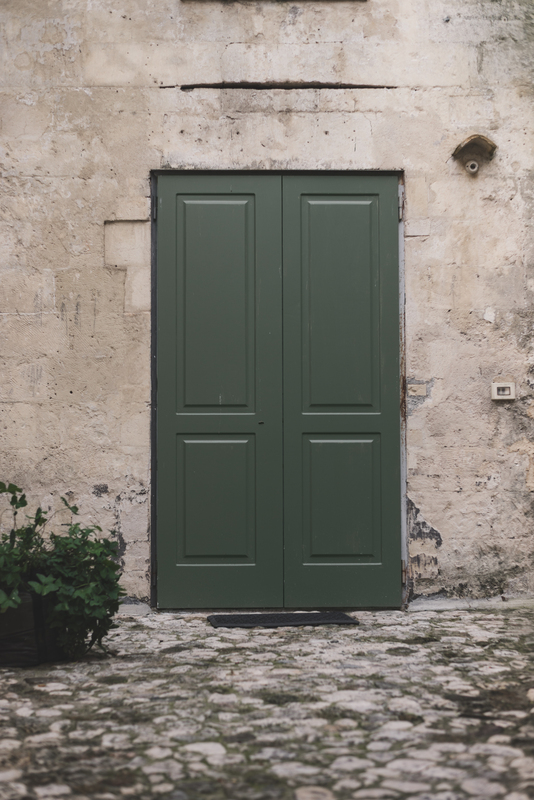 Together, sand-like walls and green doors painted a breathtaking landscape. You might be thinking that I spent all of my journey looking out the window. 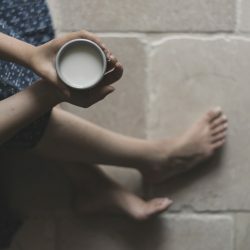 Confessing, I would have loved to…but Tea convinced me to go and give a closer look. We completed the first tour in less than two hours. There was a bakery at every street corner selling breads, focaccia, cookies and tons of typical products. 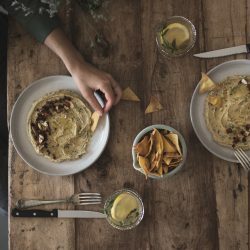 The smell was outrageously good and – yes! – it was impossible to choose only one thing/treat. Beside the place we were staying in, a furry cat was falling asleep behind the pottery shop’s window and few artisans set outside creating handmade stuff. Time never seemed to really fly. 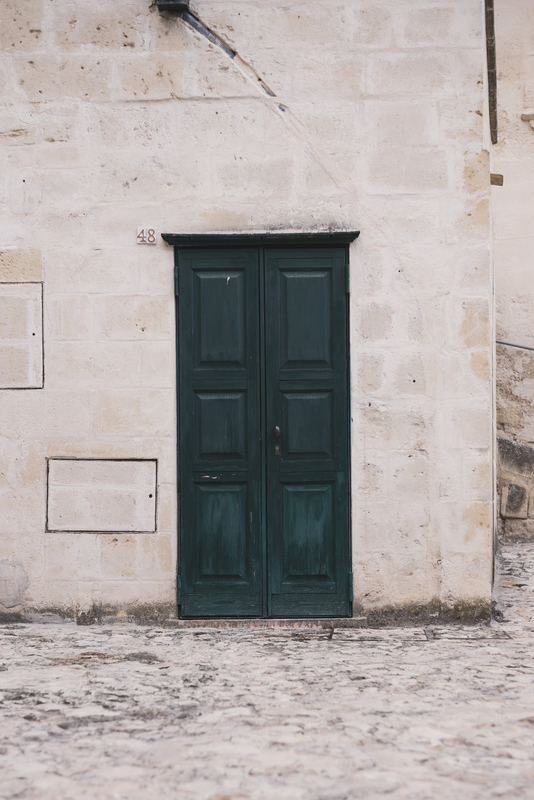 Wandering around unknown narrow roads, we took a dozen pictures of old wooden doors and nice corners. Like in a children’s story, local people wore smiles on their faces while the city scene captured spectators’ imagination. No cars, just the sound of footsteps echoing on white stone paths. 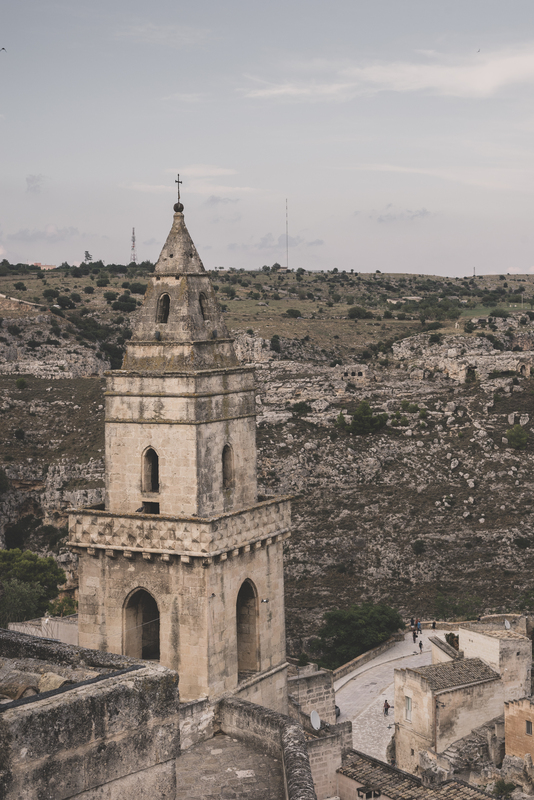 Matera was so beautiful that seemed unreal. The moment I loved most? The first evening. We had a late dinner on our terrace, no artificial lights, just some candles on the table. We watch the city-show until the night came turning off the lights, like the curtain falling on the scene. The best thing I ate? Bread, of course. Bakers used the local semolina flour to make their unusually-shaped laves. Good ingredients never leave me disappointed! Thinking about coming back? Never say never. 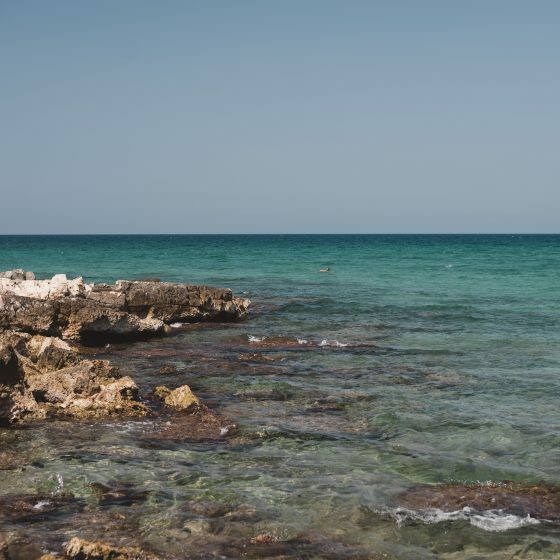 I must confess: while I was there, I felt a strong need to come back to reality. 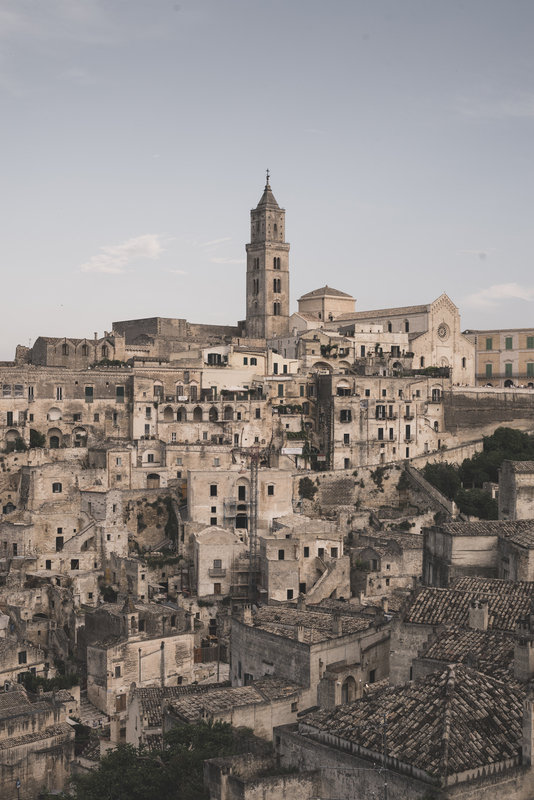 Matera is the classic place you can set a fairytale but – you know – we are modern princesses!